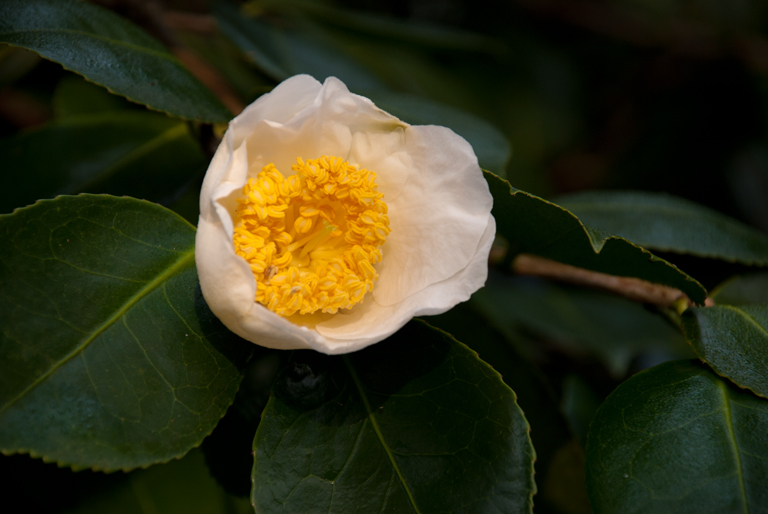 In this month’s Garden Flowers blog post, which I write with Rona Wheeldon of Flowerona, we’re looking at an evergreen flowering shrub with delicate blooms to brighten up your garden in these winter months…the Camellia sasanqua. 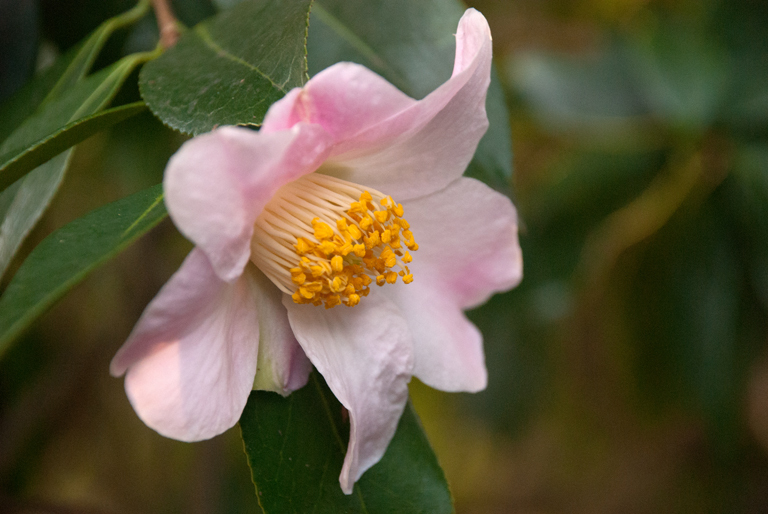 There are other Camellia species, the spring-flowering Camellia japonica being the most commonly known, but the Camellia sasanqua brings some spring-like interest in late autumn and winter when there’s not much else in flower. The flowers themselves, some of which are peony-like, range in colour from white to pink to red and they also come in single, semi-double and double varieties. 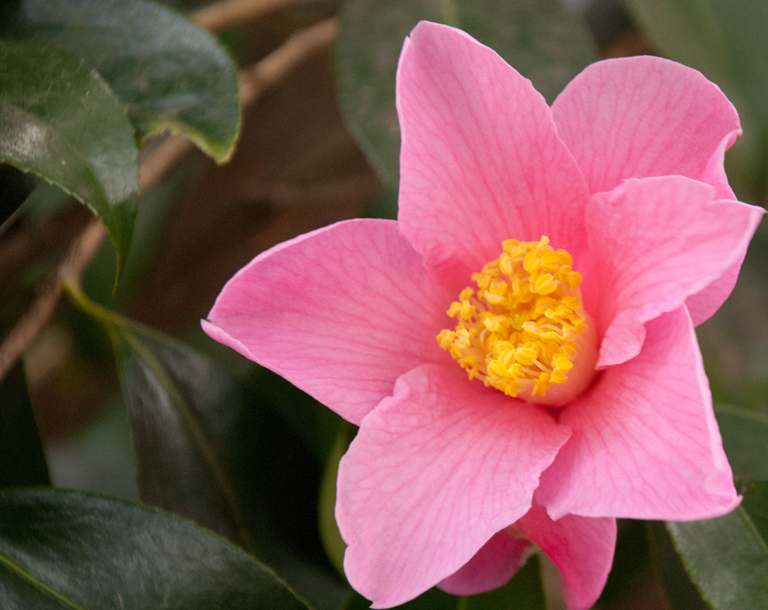 Camellias like to grow in acidic soil, so if your soil is not suitable, they’ll happily grow in pots filled with ericaceous compost as long as you keep them well watered and give them a dose of feed during the spring and summer months. Do take care not to feed them after the end of July however, and this applies to those planted in the ground too, as late and excessive feeding can cause bud drop. For your pot-grown specimens, it’s a good idea to move them near the house in winter for a bit of protection and, in very harsh weather, you may wish to cover them with some horticultural fleece to provide them with some added protection. Be aware that white and pale blooms can become easily damaged which causes brown marks, so it’s best to find a spot for them which is protected from the elements. 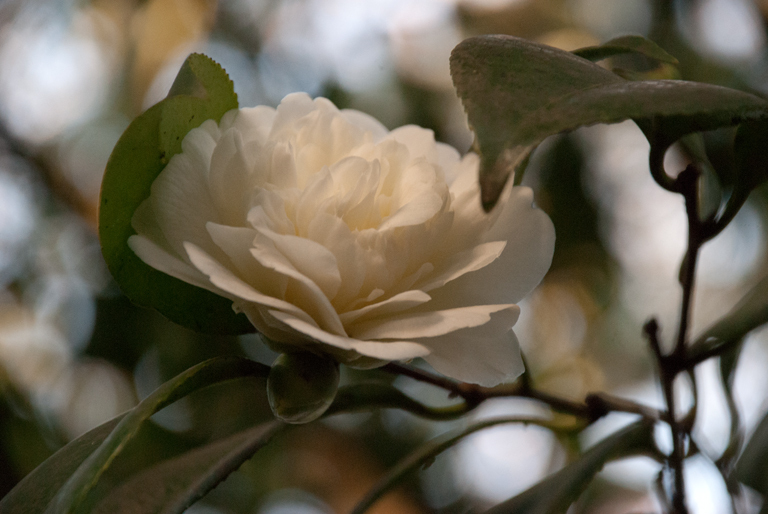 In fact all Camellias prefer to be planted in a warm sheltered spot, not prone to late-spring frosts and where they won’t catch the early morning sun (the main cause of flower damage). A position that offers some protection from the canopy of a tree would be perfect. 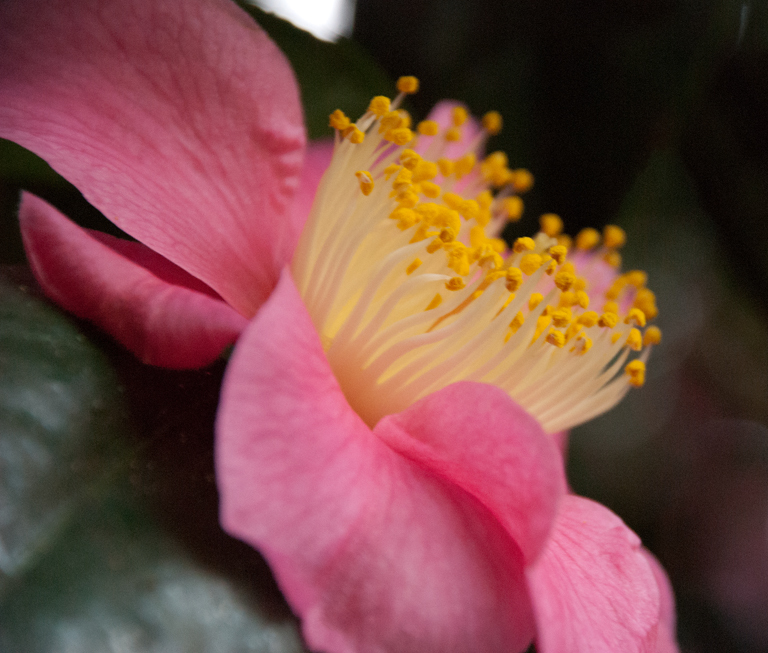 If you’re in the South West, you may like to visit the National Camellia Collection at Mount Edgcumbe in Cornwall. 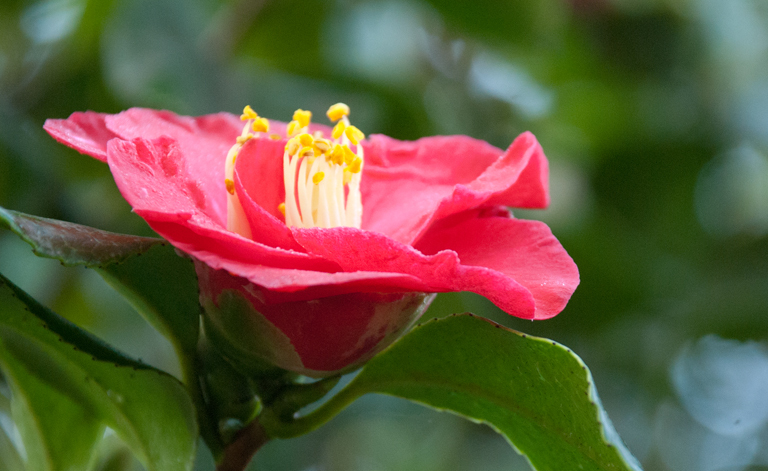 The collection was started in 1976 with a gift of seventy camellias from the International Camellia Society. Since then, it’s grown with cuttings from RHS Wisley, the Crown Estate Windsor Great Park and The National Trust. They now have over 1,000 varieties and species in the collection. 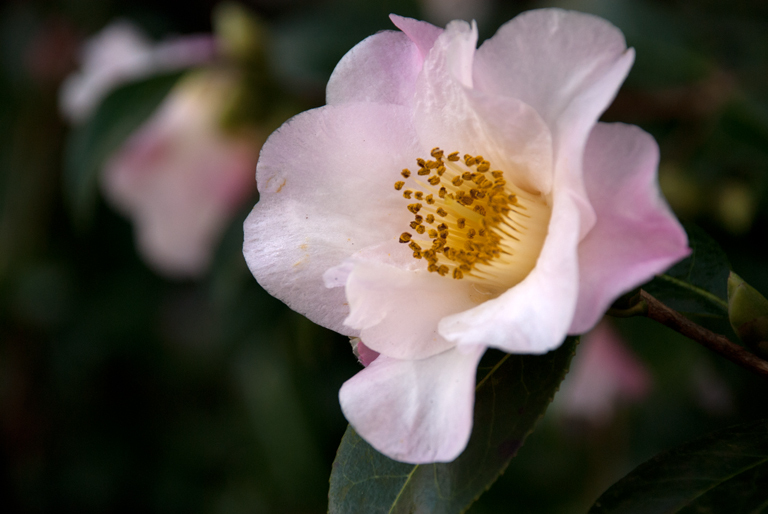 You can view the camellias on your own or take part in a conducted camellia walk.